images like *.img files. Don’t try it – it won’t work. If you don’t have one, you have to setup an IP address (klick) in the bootloader’s serial setup. - Power down the Dreambox, either using “shutdown” and by switching off by the power switch. (1.) enter in the address line “ip/” . - (2.) on the bottom of the page, there’s a link called “firmware upgrade”. Click it. - On the next page, you can select the flash image you want to flash. be sure that it has the “.nfi” extension. You can’t flash other images (like .img)! - Click on “FLASH!” and wait. It might take some time to upload and flash the image. 1) Unplug 12V power source. 4.press 4 on remote to go into edit mode. HOW TO : quick install new image & old settings in Dreambox. Flash Wizard – or other program for Flash new image. First will have to copy all programs installed and settings from DM. /var/bin – attention do not copy enigmanet ! Copy only CAM and SCRIPT installed ! -satellites.xml – actual list with satellites and transponders. Optional. 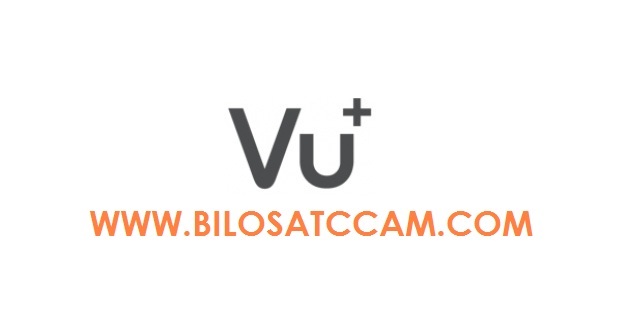 /var/script – copy script for launch CAM and installed programs ! check in Blue Panel to see what CAM you have and check Plugins ( Tools ) to see installed programs. - attention do not copy link to another directory, like link to scce ! For safety write down your DM password and settings from Communication Setup. For safety make a backup copy of your image and settings with Flash Wizard. Install new image ( Flash Wizard ) and restart DM, unplug DM from AC, wait few second and plug again. If image it is correct programmed DM will start and settings menu will appear. 3) Reinstall your settings and programs. From telnet change your password in DM with old one. From FTP copy saved settings and programs in the same place. It is very important do not restart/reboot DM from menu/telnet/sw because DM will save his setting over your restored ones. unplug DM from AC, wait few second and plug again. DM will restart with new image and ALL settings as before. * check how much space you have free in your old image, it is possible that in new image will not be the same free space for you to install all your stuff. If you don’t have enough free space do not try to reinstall from first try all the plugins. other images like nabilo or other. Once you have succesfully builded your first E2 image you can start to make modifications. Note: All the packages included in the OE tree can be included or removed from your image simply editing the file that define the image content. This file is located at /dreambox /dm800/openembedded/packages/images/dreambox-image.bb and is composed in various sections. 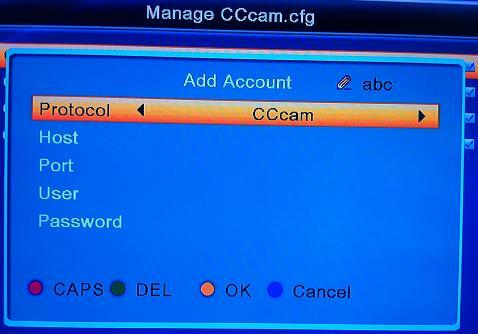 The CCcam.cfg file is located in your Dreambox. You can access it from your PC with DCC. Right click on CCcam.cfg and chose edit. The Fline is basically the same as creating a user account on your server. In your config you have a Friend section that is the part where you should add the Flines. The Cline is more like a connection string that you give to your peers so that they can connect to your server. To be able to connect they need to have an account on your server (the Fline). The part behind the password is privileges and restrictions. and get’s to share them down two further levels beyond his own level. C: the Cline that were sent to you. 1. Extract Flashwizard Pro to a folder of your Choice. 2. Start Flashwizard with the FlashwizardPro.exe. 5. If you have not changed you password Login= root password = dreambox. 6. 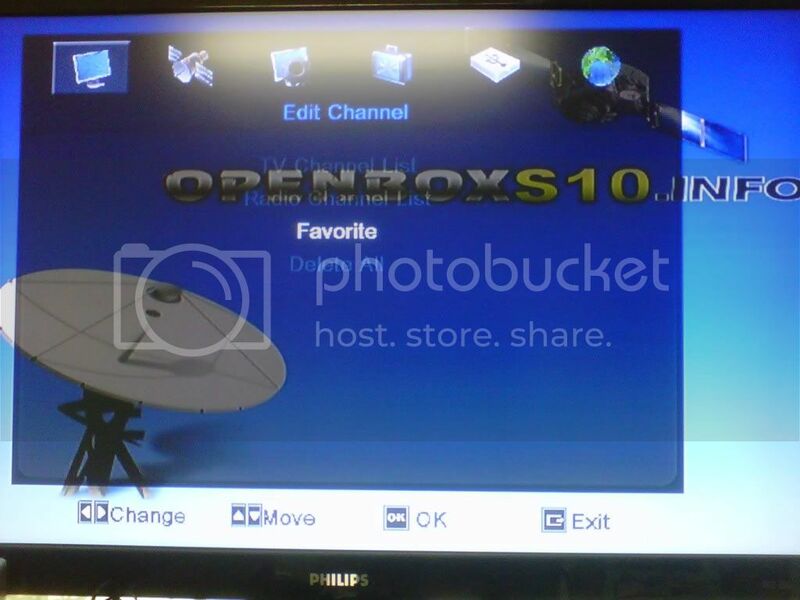 To obtain your dreambox IP do the following on your dreambox remote. You’ll see your IP at the top of the page make a note of this and enter this IP into Flashwizard. Also untick the DHCP box so your Dreambox IP will never change and remain static. Now navigate to the Dreambox image you would like to install. 10. At the prompt select YES. 12. And then image transfer completed. 13. Exit Flashwizard and pull the power from you dreambox and wait for 30 seconds before reapplying power. 14. Time to get sat in front of the TV! As your box boots you’ll see the Boot Logo Screen come up maybe a couple of times. 15. At the Pal Screen Select Pal or the system your TV uses and then press the green button on your remote to save. 16. Select your language and press the ok button. 17. Select your time zone and press the green button to save. No Diseqc for a single LNB Setup. 19. If you want to use usuals keeps the goto x box ticked and enter your Longitude and latitude and press the green button to save. 20. Now select Auto Transponder Scan. This will scan all available transponders till a valid one is found. When found press green to scan. When the scan is complete press ok.At this point you can now scan another satellite with a press of the green button or red not to. Later on in this tutorial ill be explaining how to transfer channel setting so you don’t really need to. 21. Click exit and select a channel free to air to view.Now press the menu button-option5-reboot now, this will save your settings. 1. On the USB stick create a folder and name it vuplus inside that folder create another folder and name it solo. 2. Download the USB version of a image and unrar. Now send the boot, kernel and root file to the solo folder. 3. Insert your USB stick in the front USB port. Then on th rear of your solo press the reset button. When the VU Solo start the standby light will be RED. You should see the led light on your USB flashing. This shows the SOLO is reading the USB stick. After a while you’ll see the LED on your USB stop flashing. When this happens it means your SOLO is been programmed from it internal memory after reading the USB drive. When your Standby light turns green the flashing process is over and you can remove the USB stick. ” These instructions are for Dream Elite Image, other images Green & Yellow buttons might be configured slightly different. Unzip the vuplus folder to the root directory of a USB Pen Drive. Image will auto install from the USB Stick. Look at the display on the receiver, it’ll display when the update has finished. Connect an Ethernet LAN cable from your router to your Vu+ Ethernet port. Select Network w i z a r d and press OK. Enter your post code into multimap.com and you’ll get the correct LON & LAT info for your location. Dish should now go to 1w. Select Likra E2 Setting Motor and press OK.
Use Left & Right Keys to select an installed cam and press OK.
How To Reflash the box without acess to MENU -> EMERGENCY FLASH This procedure should be used ONLY in case that was not possible acess to Menu. 2) Copy the firmware file to your USB memory stick. 3) Insert the USB memory stick into the USB port of the digital receiver. 4) Power OFF and POWER ON the reciever with the USB Memory INSIDE. 6) If every thing is ok The receiver will install new Software and you can recovery back the control of your receiver. AND IF YOU CANNOT GO TO TO BOOT MENU (STEP 5), or if your box STAY all time on booting phase, reboot it and when saw Checking … on VFD press several times the button OK until go to BOOT MENU. !!!! “DO NOT” POWER OFF OR REBOOT DURING THE UPDATE PROCESS !!!! IMPORTANT NOTEYour USB memory must be formatted in the FAT file system. Otherwise, the digital receiver cannot recognize your USB memory. In addition, the digital receiver can only recognize files and directories which are named with only alphabetic, numeric and underscore letters. If there is a file or folder named with other letters, the digital receiver cannot recognize not only it but also its subsequent files and folders. Învăţarea este o atitudine, pentru ca te pune în situaţia de a alege şi te face direct responsabil! To update Set Top Box from Menu, you should go to Menu (Press button Home) and go to Settings > System Information menu. You can update the firmware through the Internet. 1) Make sure that the digital receiver is connected to the internet before running the firmware upgrade. 2) Press the OK button, and the Update List will be shown. 3) Select the software that you want to install. 4) After finish the download of new software, the receiver will be rebooted automatically to upgrade your firmware. 5) Please wait for the installation. !!!! IN ANY CASE POWER OFF OR REBOOT DURING THE UPDATE PROCESS!!!! 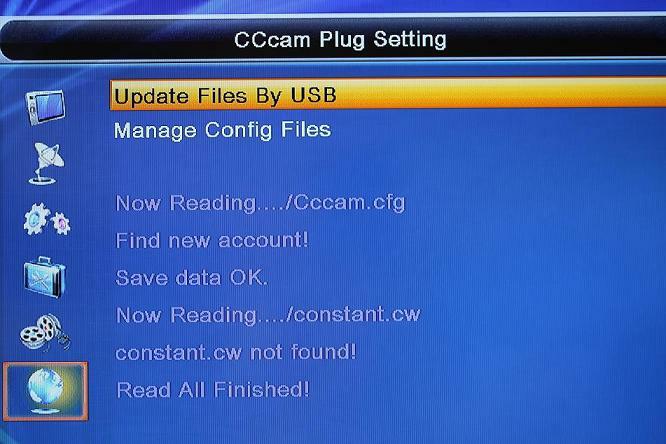 4) Select the Settings > System Information > Firmware Upgrade menu, then the files in the USB memory are listed. 5) Place the highlight bar on the right firmware version and press the OK button. 6) The receiver will be rebooted automatically to upgrade your firmware. 7) Please wait for the installation. After installation, the receiver will be rebooted again. Now you can use the receiver with upgraded version. Your USB memory must be formatted in the FAT file system. Otherwise, the digital receiver cannot recognize your USB memory. In addition, the digital receiver can only recognize files and directories which are named with only alphabetic, numeric and underscore letters. If there is a file or folder named with other letters, the digital receiver cannot recognize not only it but also its subsequent files and folders. This tutorial, which consist from screenshots will explain You how to flash Your AzBox Me with Enigma 2 or Neutrino HD image. As far as we noticed, new AzBox bootloader allow You to install three (3) different Neutrino HD or Enigma 2 Images, so at boot it ask You which image You want to boot. In my case I am running official Neutrino HD on Boot 0, Enigma 2 v1.0 on Boot 1 and Enigma 2 TEST release on Boot 2. So each time when receiver boot i can press on RCU button 1 or 2, or if i dont press anything receiver will by default boot to Neutrino HD which is installed on Boot 0. 1. Turn ON receiver by switching ON on the back panel and by pressing power button on RCU or Front panel and press VOL+, untill it show You on VFD that You are in rescue mode, where You will see also IP address of Your receiver. 2. Enter IP address which is shown on VFD to Your Web browser, and press enter. 1-this is cccam 221 version and its very easy to install it inside E2. This is some information about how to add C & N lines to mgcamd. 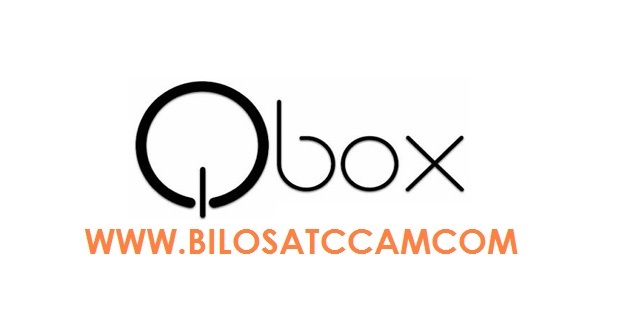 This particular post will refer to its use for the Azbox, but can be adopted to use with other receivers using Enigma and Enigma2. The location of the files will depend on the image you use. In linux they will be in /var/keys or /usr/keys or something similar. For the Azbox, all files will be found in the folder /PLUGINS/OpenXCAS/mgcamd which makes things extremely simple and is why I selected that receiver. Settings are cumulative, you sum the values of the emus you want to connect to.. Have a quick look, but don’t dwell on it. Simple so far? it gets easier..
Edit cccamd.list and paste in a C-line as normal e.g. select all files and give CHMOD 755 to them. archive. Give CHMOD 755 to that two files. to 3 files : dvbapi.sh , dvbapi_module and openxcas.conf . 6. Do not forget to add Your C or N lines to CCcam.cfg file which is located inside of /EMU/lib directory. entering this in Your Web browser : azboxhdip:16001 , in my Case, my AzBox HD in my LAN has IP adress 192.168.1.65, so I am entering 192.168.1.65:16001 . 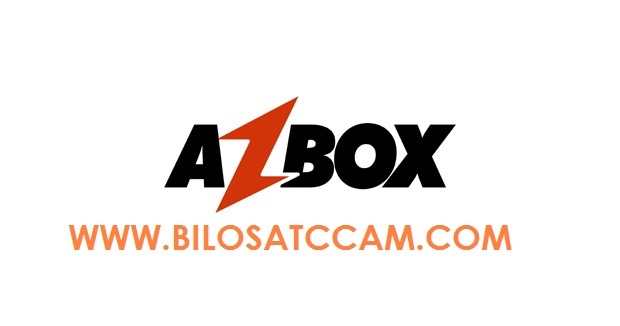 That is all for now, with this You have CCcam 2.1.1 Client and Server Installed on Your AzBox HD device. below are some simple steps that you can follow to get them done. Go to Menu -> CCcam Client Setup -> Manage Config Files. Click OK.
And under Manage Config Files, browse to 1. CCcam.cfg and click OK.
Press Blue button to add and you will be prompted with new screen to key in necessary information. Key in respective information such as CCcam (under Protocol), and also the respective Host, Port, User name and Password as you gotten from card sharing server account, press yellow button (OK) and you are done. 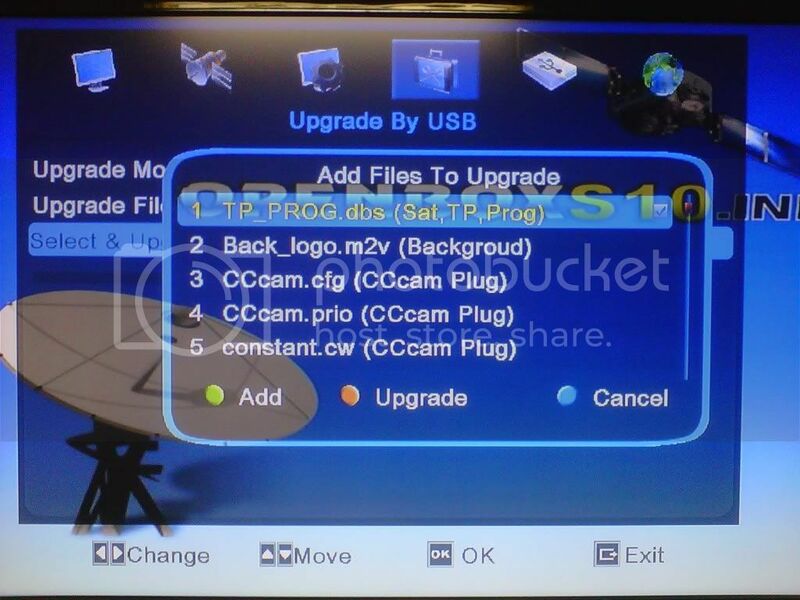 Hopefully this serves as a good alternative for those that really have no idea on how to load the CCcam file into Skybox/Openbox HD satellite decoder using thumbdrive so that you still can do it yourself without assistance from professional installers which could be costly for such an easy setup. A. Go to MENU > TOOLS > DUMP BY USB. Use left or right arrow to select MISC FILES, then arrow down to SELECT & DUMP. Press the OK key. B. Press the GREEN key to select TP_PROG.dbs, then press the YELLOW key to copy data to your USB. 2. Go to MENU > TOOLS > UPGRADE BY USB. Arrow down to “Upgrade File” and select the file you downloaded. It will start with S10-(date).abs, for example S10-50172011.abs Then arrow down to “Start” and press the OK key. When prompted to burn flash, select “yes” and press OK key. 3. Your S10 will reboot. Confirm successful upgrade by looking at the background image, it has changed. 4. Configure your satellites and settings, scan, and watch TV. If you wish to restore your previous data, see below. B. Press RIGHT ARROW once to change to “Misc Files”, arrow down once to “Select & upgrade”. Press OK key. C. Use the GREEN key on the remote to check TP_PROG.dbs, then press the YELLOW key to upgrade. After upgrade, hit the EXIT key until you get the “No Channels” message. D. Use the remote to power down your S10. After 10 seconds, turn it back on, and your channels/satellite setting should be restored to the new Firmware. This is a small guide to get your spiderbox working. to be added or is missleading please make a post here … in general discussion. theres 3 keys you might find handy in future so write them down on a piece of paper or save it somewhere else, but we are coming to that. this is probably not needed if you use usals,cause then you insert your latlongitud. but to be on the safe side. thats is what i did. 4.Start it up, then press menu and go to optioncontrolpanel press Ok do your settings such as hd type-video output etc: press Exit when done, and stb autosaves. while in option choose your osd setup and time setting. 5.press Left arrow on remote to installation. dont forgett to pess Ok on save. now you can search for sats…. if you not use a channellist offcourse. to get hidden menu… (IF THE HIDDEN MENU IS NOT SHOWN) then you first have to (LOAD A PATCH WITH GIFT) on it. in network press Right arrow on remote Type to On. on same paper as ser nr and press Exit. go down to nuevoxstream press Ok then Type to On. go down to Authorization press Ok.
´write down key´ on same paper as ser nr and mac address and save it somewhere safe. this is the 3 keys you might find usefull in future. now go down to register and press Ok.
now you can put in your new patchessoftcamfileschannellists. download extract, to a fat32 formatted usb stick. 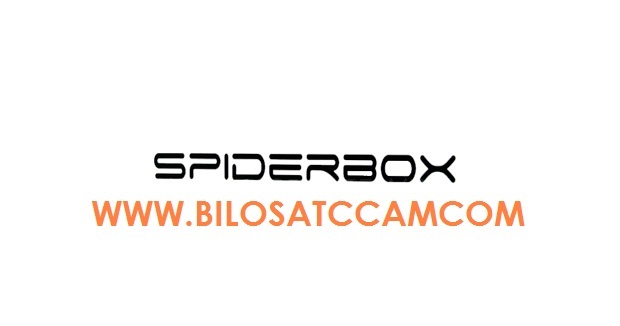 conect usb stick to spiderbox usb and in menu go to usb and find the extracted file press Ok on it. when in use of softcamfile, set both ucas to on in key edit. when in use of a cam and card on same providers as gift,, to avoid conflicts turn gift off.. Putting The C line in Tex just by USB…. Can be similar Tex file like in DM..but in easy way not Ftp needed….ONLY USB 1 sec. ” How and what do I do when I get the big Q-Box Mini? 6. When finished, exit the menu by pressing “Exit”. NB: The files will find them in the folder from where it started the setup or can be downloaded from the site www.qboxsvn.com. The update is necessary to implement all the bug fixes and new development done for the QBoxHD. There are two parts of Box that can be updated. • File System Update. 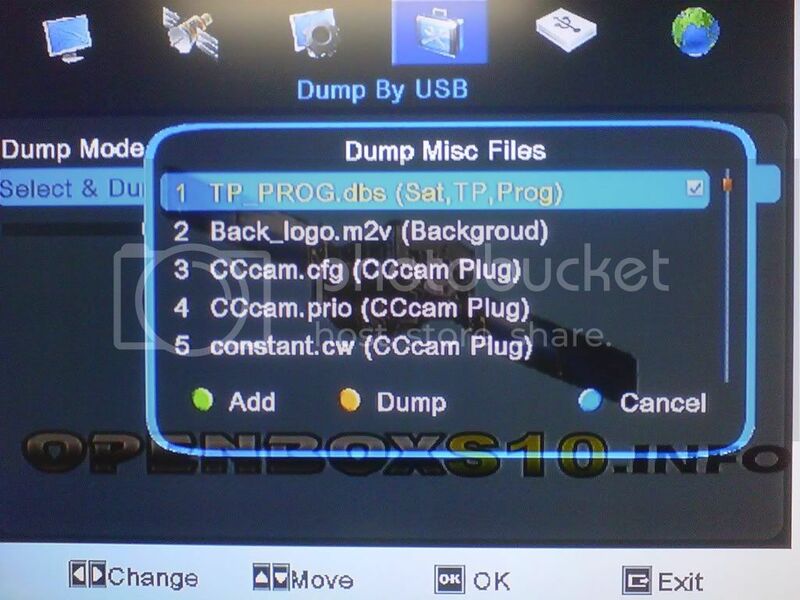 File System is the update of the internal USB Pen of your QBoxHD. Standard sales configuration of the QBoxHD contains a 1GB USB Pen for storage of small contents or setting or third party applications. Note: ALL UPDATE PROCEDURES MAY CHANGE ACCORDINGLY WITH DEVELOPMENT IMPROVEMENTS. MAKE SURE YOU DOWNLOAD THE LATEST UPDATED USER GUIDE OR TUTORIAL FROM THE OFFICIAL WEB SITE IN ORDER TO GET THE LAST CHANGES. 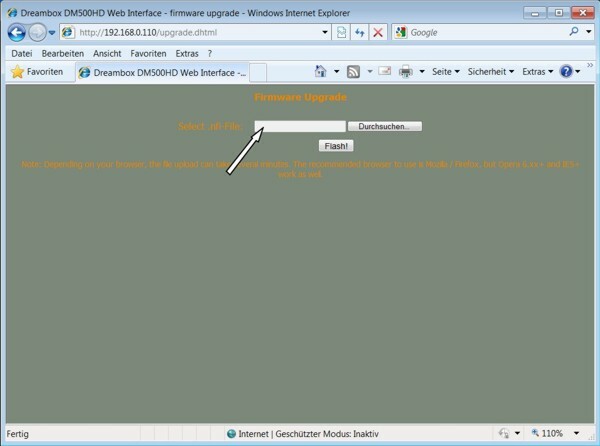 This procedure explains how to update the Boot Update and FileSystem Image. IMPORTANT NOTE: To void versioning problems make sure the Boot Update and FileSystem Image! Please read inside the FileSystem archive which version of Boot Image to use and viceversa. 1. PC with Windows OS. Windows XP and Windows Vista are supported. 2. 1x LAN Cable. Ethernet cable can be direct or cross cable. To update the Boot Image. and/or 1x USB Pen min. 1GB. USB Pen is needed to perform the FileSystem Update only. 3. 1x LAN Switch, HUB or Router. This is needed to maintain a stable the connection with the QBox. On some PC running Windows Vista OS it is strongly recommended to put a LAN Switch, HUB or Router while it may not be needed on Windows XP. Boot Update will update the NOR memory inside the QBoxHD which contains Kernel, UBoot and other basic function of the QBoxHD. 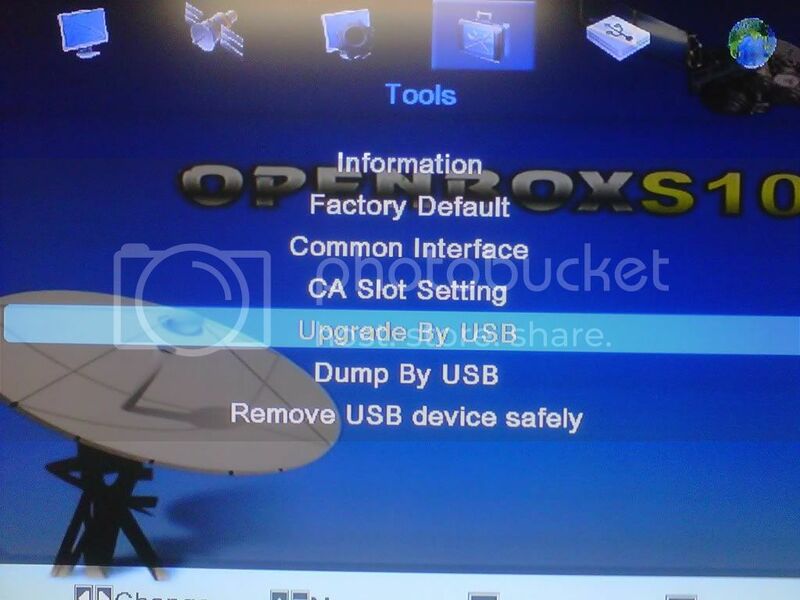 Boot Update files have the extension .qhu Boot Update can be done ONLY using QBox HD Updater software. Boot Update is a hard update and needs to turn OFF and then ON the QBox. 1. Download the latest updating software version can be downloaded from the official web site www.qboxhd.com or www.duolabs.com and install it on your PC. 2. Connect the QBox to your network using cross or direct LAN cable. 3. 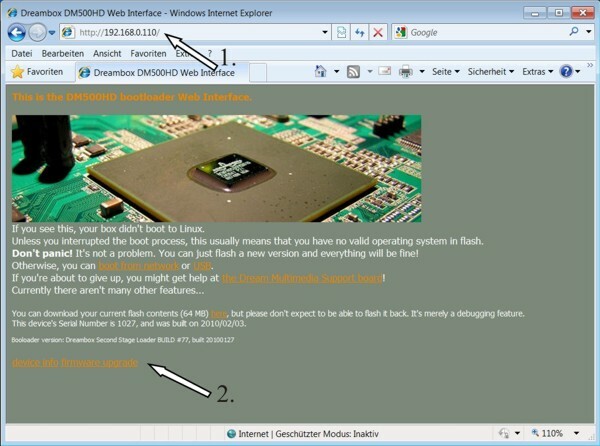 Temporary remove the Window’s Firewall (this may cause failure in establishing the connection) . 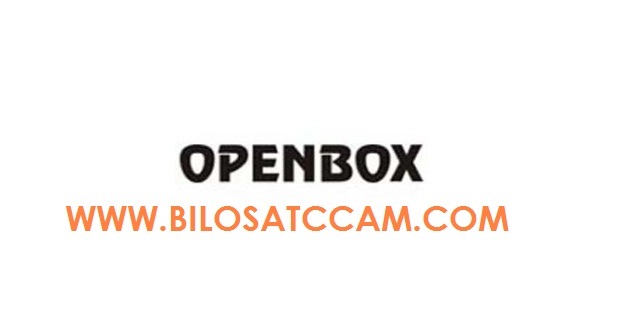 Password: qboxhd (low case) At the end press “Save” and you will be directed to the main software window. To start Boot Update press the “Update Button”. 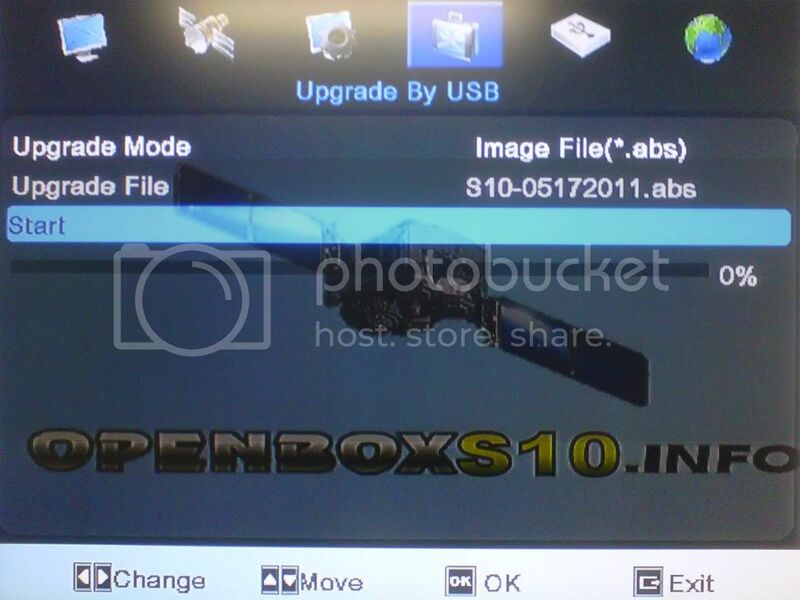 The most convenient and easy way to update the QBoxHD FileSystem Image is via USB Pen in stand-alone mode. 2. Uncompress the .tbz file into a blank USB Pen (FAT 32 formatted). Using WinRar. All files must be inside the folder “qboxhd_update”. Make sure qboxhd_update folder is in the main root of the USB Pen and the files and contained in the qboxhd_update directory and not in a subdirectory. 3. Plug the USB Pen in one of USB ports. 4. Turn the QBoxHD OFF. 6. Wait until the QBoxHD is booting up. DO NOT TURN THE RECEIVER OFF WHILE THE UPDATE IS IN PROGRESS. IT MAY TAKE SEVERAL MINUTES!! 1. If no OSD menu is visible on your screen, press the Menu-Button to open the main OSD menu. 2. Navigate to the option “Information” and press the OK-Button to select. 3. The “Information” menu will open up. Navigate to the option “About…” and press the OK-Button. This window shows all relevant information about the Hard- and Firmware of your QBoxHD. 4. Press the OK-Button to close this menu. FILESYSTEM VERSION AND BOOT IMAGE VERSION BUT BE MATCHING EACH OTHER. MAY CAUSE SEVERAL USAGE PROBLEMS! !